Darlene A. Peterson was known for her keen intellect, passion for learning and fierce determination. These traits steered the direction of her life and legacy. 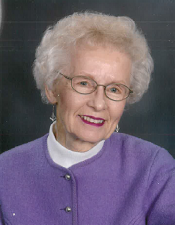 Darlene hailed from Oakes, North Dakota, but made her home in Shakopee, Minnesota, until her passing in early 2019. Her determination showed as she made a career of over 30 years at the Minnesota State Women’s Correctional Facility in Shakopee, MN. Darlene started in an entry level position and as she learned, progressed to becoming the Assistant Warden committed to supporting management, operation, and regulation of policies and procedures. While her professional career was shaped by her willpower and determination, those characteristics carried into her personal goals and aspirations. Darlene was self-driven and self-taught, known as the “engineer that didn’t go to engineering school”. Not only was she an accomplished bridge player, she was also a voracious reader and took delight in sharing information with others that she thought might also enjoy or need it. Family members have many memories of receiving clippings in the mail from Darlene to read and the constant stack of newspapers and reading materials she enjoyed. Darlene was very self-sufficient in finance, insurance, and investment matters and wasn’t easily swayed from exploring a new area of investment. Her love of learning was a constant throughout her life. Darlene and her husband Charles “Pete” Peterson had one son, Warren. Warren was drafted, and served in the United States Marine Corps during the Vietnam Era in Okinawa. He lived with mental illness post-service and passed away in 2017. The experience with her son and the women incarcerated taught Darlene much about the challenges of living with mental illness. This fueled Darlene to become a passionate advocate and supporter for mental health during her lifetime and to include this passion as part of her estate plan. Darlene, with the support of her family trustees and partnership of the Willmar Area Community Foundation, now leaves a legacy known as the Darlene A. Peterson Charitable Fund. Via this designated fund, Darlene will continually support the National Alliance for Research in Schizophrenia and Depression and the National Alliance on Mental Inness (NAMI-MN) Minnesota Chapter. These organizations are dedicated to educating and building awareness about mental health, while supporting advocacy and research around mental illness. Although Darlene has passed, her legacy will continue to live on illustrating her love, her dedication, her passion. A life well lived and legacy of hope to many!